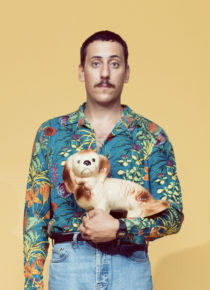 Two-time SA Comic’s Choice Award winner, South African comedian Schalk Bezuidenhout is back in the UK with his Edinburgh debut. South African White Boy shares his journey as one of South Africa’s best and most exciting young comedians. After sell-out runs in London, Schalk’s first time on the Pleasance stage is sure to be a hit. ‘His unique material and delivery allow him to stand out in a sea of stand-up comedians’ (Helen Herimbi). As seen on Comedy Central. Star of major feature-length film Kanarie. Tour support for Trevor Noah.